Steven Spielberg is to give life to a screenplay by Stanley Kubrick about Napoleon, which was scrapped by the late film maker in the 1970s. He told French TV network Canal+ he would make a TV miniseries - not a film - about the life of the French Emperor. The Lincoln director previously collaborated with Kubrick on 2001's A.I. Artificial Intelligence. The science fiction drama was conceived by Kubrick in the 1970s and later written and directed by Spielberg. Regarded as one of the greatest filmmakers of all time, Kubrick directed groundbreaking films including 2001: A Space Odyssey, The Shining, Dr Strangelove and Eyes Wide Shut, his last film before his death in 1999. According to the Hollywood Reporter, he was "devoted" to the research involved in the biopic about Napoleon, spending years exploring the French emperor's life in detail. A Los Angeles County Museum of Art exhibit highlighting Kubrick's work displayed a 1971 draft letter to studio executives, telling them: "It's impossible to tell you what I'm going to do except to say that I expect to make the best movie ever made." It also highlighted an offer letter he wrote to Austrian actor Oskar Werner for the title role in the film and a "very polite hand-written inability letter" from Audrey Hepburn, in which she said she had decided not to work for a while, but asked if he would consider her "again sometime". The Hollywood Reporter said Spielberg would develop Napoleon in conjunction with Kubrick's family. 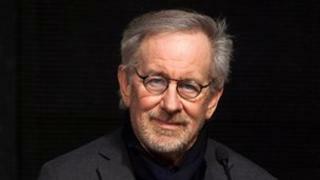 "The late filmmaker is famed for his obsessive perfectionism, so his estate should find comfort working in the able hands of Spielberg," it said.